I’m going to start out by apologizing for the pictures. My little camera and I just don’t handle the lighting challenges of Century II very well. So please, enjoy what I’m trying to portray and do you best to ignore weird lighting, overexposures, and slightly fuzzy subjects. 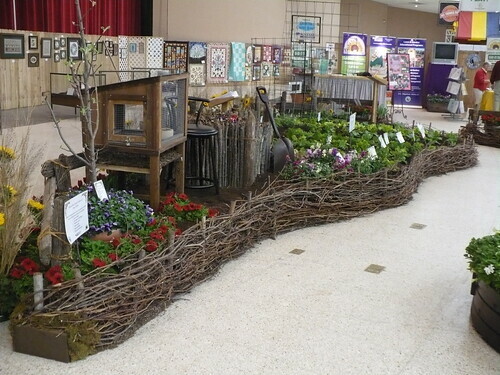 If you want to get a look at the whole bunch of pictures I took from the Garden Show, you can visit my Flickr photostream. There’s the front of our little Hobbit Hole, all fresh and shiny before opening on Wednesday. 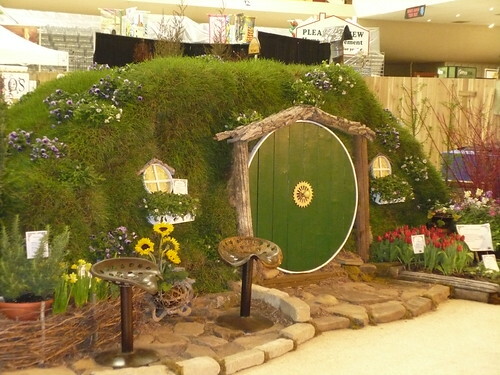 The vignette from the back side of the Hobbit Hole. The cart is a little bit out of scale, but it was too cute not to use! 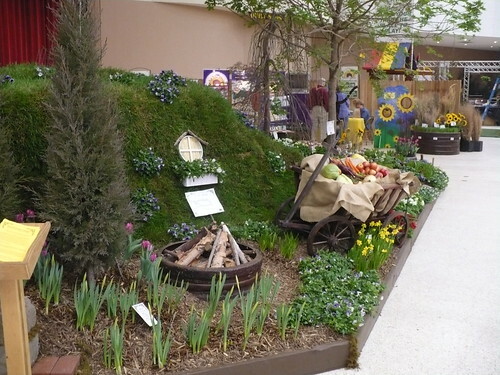 There’s the garden area from the other angle. The funny thing is that the bright green lettuce was actually supposed to be a red lettuce. (It doesn’t turn red in a warm greenhouse, apparently!) It probably looked better as a bright green lettuce than as a red lettuce anyway. 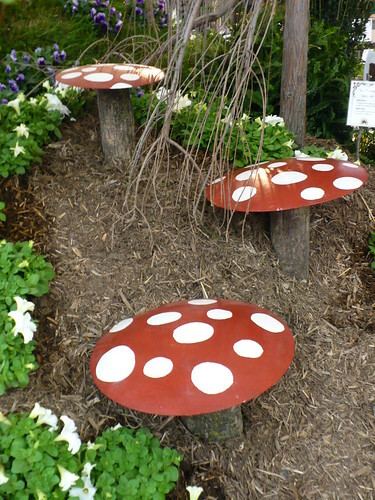 The mushrooms were one of my favorite parts of the whole garden. They are just too cute! Here’s the back of the garden from the water pump side. It was all beautiful while it lasted, but I’m so happy that we are done with the show and everything is clean and ready to dive into spring. 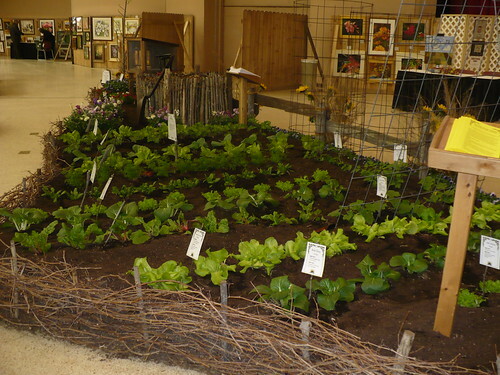 I’ll post a few pictures of the other gardens later this week, and then we’ll be hard and fast into our spring Demo Garden planting by next week. 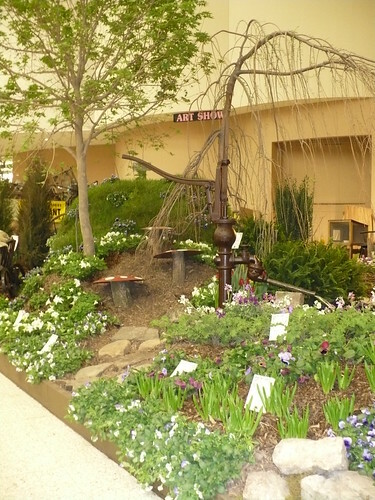 Posted on March 7, 2011, in Around the Garden and tagged Wichita Garden Show. Bookmark the permalink. Leave a comment.